MiCard replaces the current system of payment via cheques and vouchers by providing our customers with a personal card. 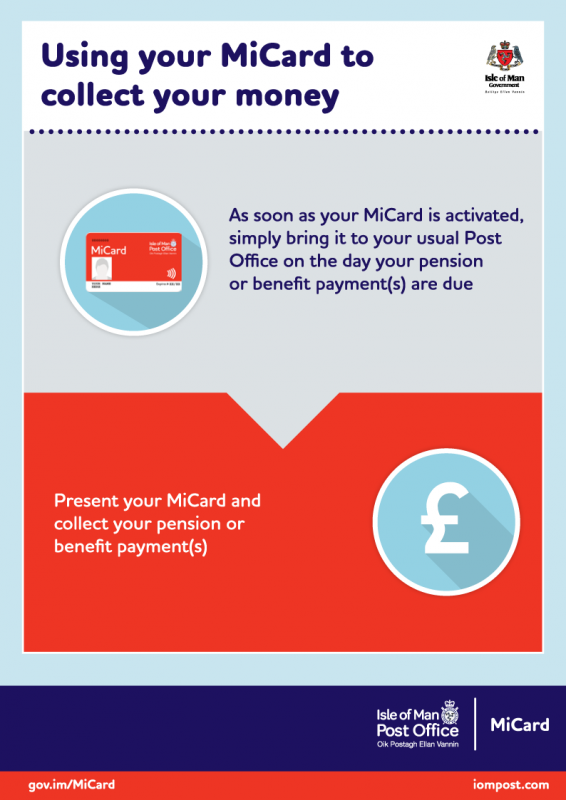 Simply bring your MiCard to your usual Post Office visit and collect your cash immediately. Access your benefits from the day they are due, at a time that suits you. Collect your payments, in cash, on a weekly basis, an alternative to monthly electronic transfers. MiCard can only be used by the customer who is entitled to collect the benefit, making sure your payments are protected. If a nominated or proxy person collects your payments, they must have their own MiCard. Please contact Social Security on 686297 to arrange this for you. There will be no cash value stored on the card. 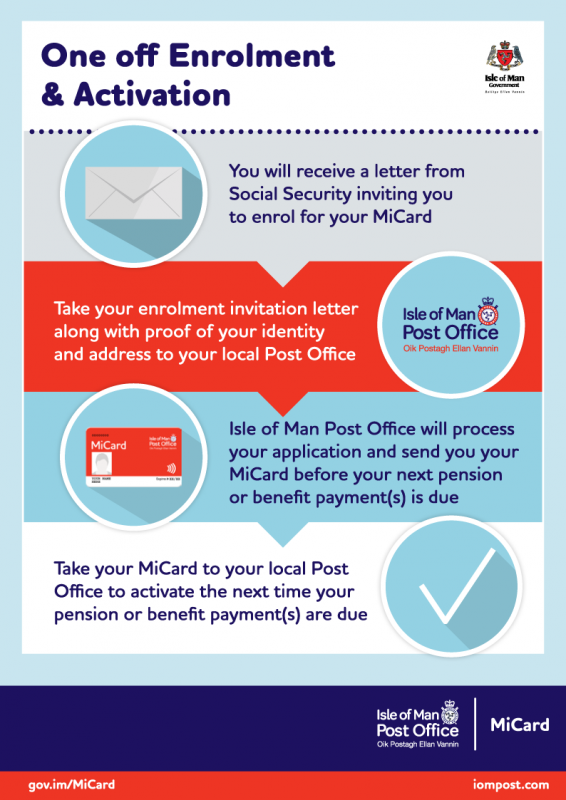 What happens next if you collect your pension or benefit from the Post Office? Customers will be asked to provide photographic proof of identity, unless they opt to have their photo printed on the card. In some cases, Social Security customers have their benefits collected by a nominated person (e.g., a family member or friend) if they are unable to collect themselves. This person is known as a "proxy". Of course, any customers who would like to use Proxy collectors are welcome to do so, however, they will need to have their own card to collect. Please contact Social Security on 686297 if you would like this arrangement setup for you. Learn how Escher Group helped Isle of Man Post Office provide pioneering digital government disbursement services. You can read the case study below in Related Downloads. If you would like any further assistance, please call Social Security on 686297.